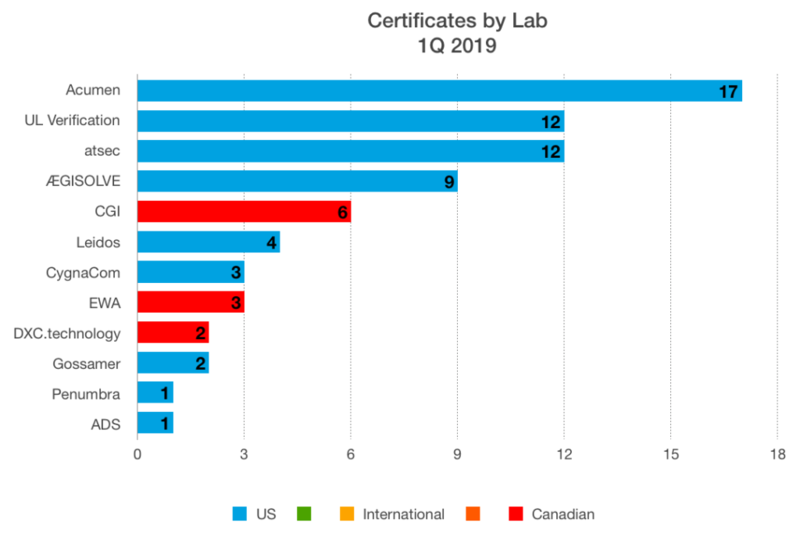 During the first quarter of 2019, the CMVP issued 72 FIPS 140-2 certificates, matching the number of certificates issued during the first 3 months 2018. Acumen Security produced the most number of certificates (17) for their customers. 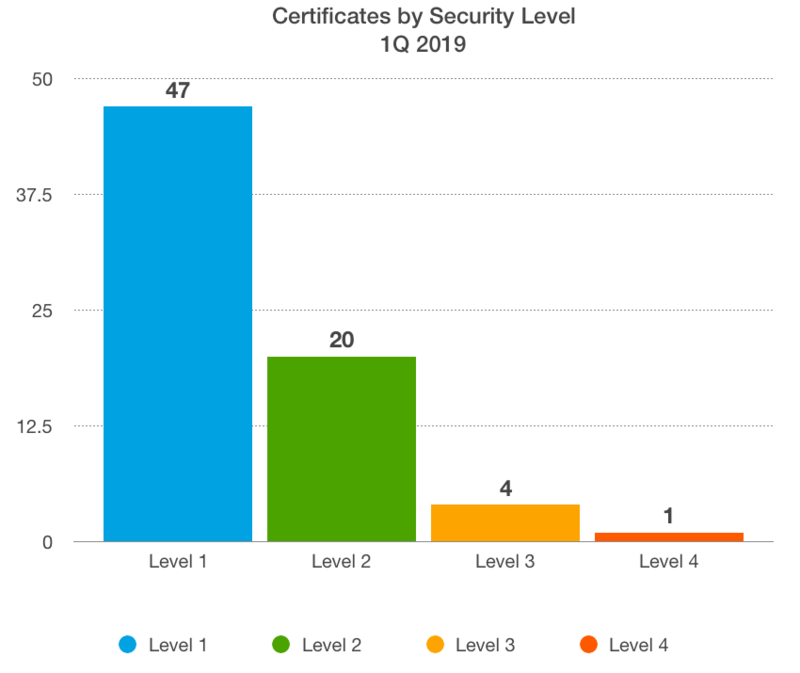 Security Level 1 certificates accounted for 65% of the total. 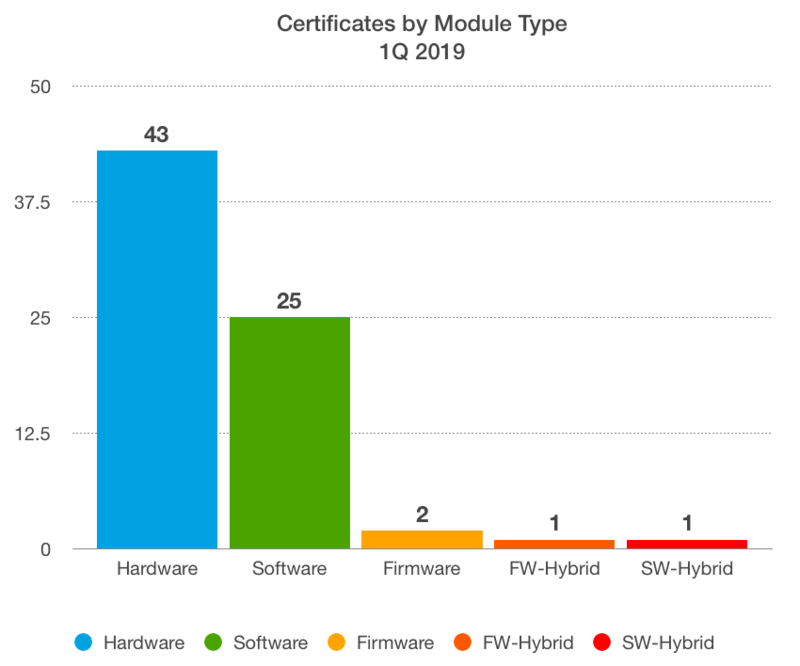 60% of the FIPS certificates issued were hardware; 35% software.